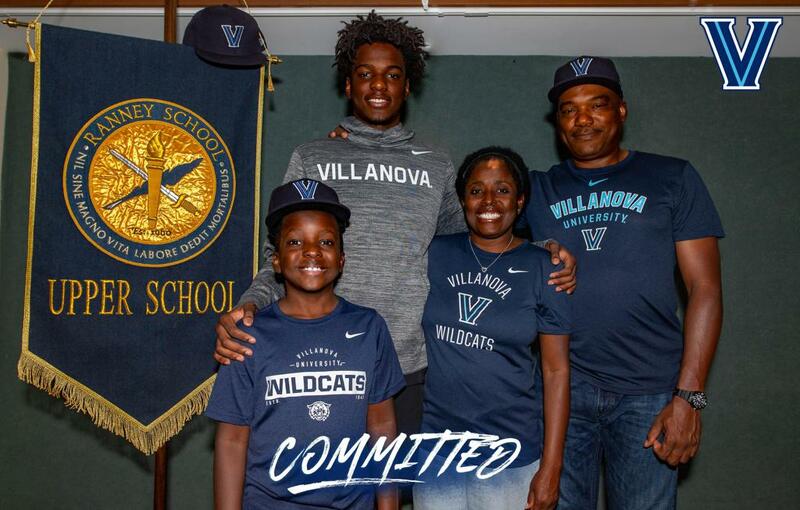 Bryan Antoine, the top shooting guard in the class of 2019, tells Prep Circuit he has committed to the Villanova Wildcats. After going on an unofficial visit to the reigning NCAA Champions last week, Antoine decided he found his college home. He based this decision off how comfortable he felt with the Wildcats on and off the court. 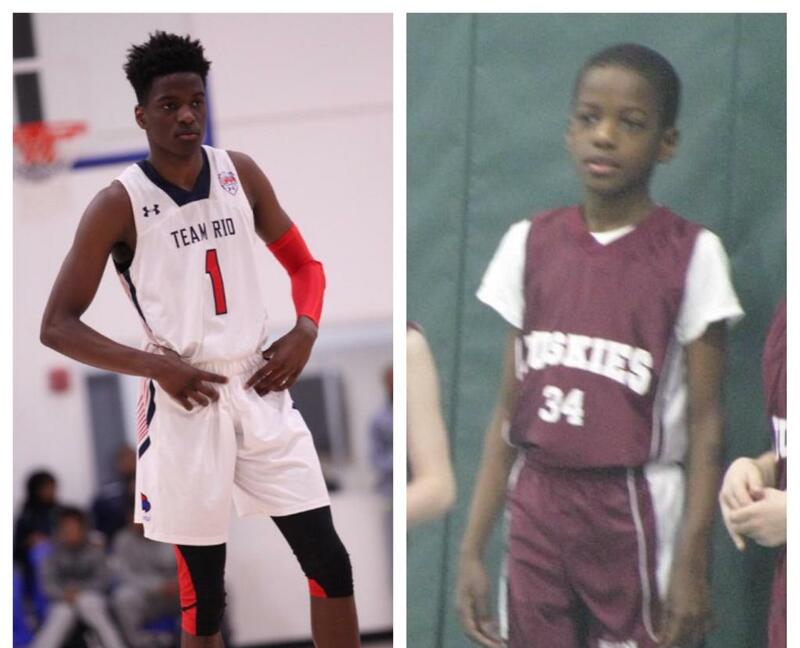 The opportunity of playing in front of his parents, younger brother, and all those who have supported him at the Ranney School (N.J.) was a huge selling point he gravitated toward as well. This, and the love he received from the school played big roles in his decision. “It’s also close to home, which is great because I feel like the same people who saw me in high school are going to see me in college," Antoine stated. "They are a great coaching staff, everyone just shows love no matter what including the students whenever I post anything. It’s just general love coming from the school." Once Antoine arrived onto Villanova’s campus for his unofficial visit last week, he felt like he belonged. Like any player making a college decision, Antoine looked deep into what the Wildcats do with players at his position. He feels their defensive approach fits in with his seamlessly. In this past NBA Draft, Villanova had four players selected in Mikal Bridges, Donte DiVincenzo, Omari Spellman and Jalen Brunson. Antoine is intrigued with how they went by their own timeline to getting drafted. Going one and done to the NBA would be ideal for Antoine, but he is more focused on going there to experience what it’s like to play for Jay Wright and Villanova instead of it just being a stepping stone to the NBA. The next question that arises from this is if his longtime five-star teammate Scottie Lewis will join him at Villanova. While Antoine wants to play with Lewis in college, he recognizes that Lewis has to make his own decision. The five-star prospect’s message to Villanova fans is one that goes along well with the past and present players who have built up their program to what it is today. As I got older my confidence grew and I started doing things that I didn’t even know I was capable of. I just have been soaking up as much information from every coach that I’ve had. I’m smarter on the court now and have more of a desire to play the game for everyone and not just myself. First off I have to thank God of course. The past couple of months have been tough with it coming closer to commitment time. Sometimes I would come home and not be able to eat or sleep because the process had been getting to me a little bit, but my Mom and Dad just told me to pray on it. I would ask which school would fit me right and when I make the decision I’d hope that everything goes well. God works in mysterious ways. To be able to receive a full basketball scholarship is a blessing. I want to thank all of the coaches for taking the time to recruit me these past three, four and for some even five years. That’s something I really appreciate because those coaches took their time out to text and call me. That’s something I can’t thank them enough for. I want to thank my mom, dad and brother for sticking by me through the process. They really didn’t show favoritism toward any school and they said to go to whatever program I felt most comfortable with. They said to go to somewhere that I could go to even if I have to stay two, three or four years. I also want to thank Coach Tahj Holden who has been through this process himself and without his advice I don’t know where I would be. I want to thank Coach Mike Rice for bring the dog out of me every practice because he saw potential in me. Thank you to some of the coaches who have been with me from early on such as Coach Pat Dunne from the Matawan Huskies and of course Coach A.D. Gaffney. I can’t thank Micah Lancaster, Bryce Stanhope and D.J. Sackmann enough for all of the time and effort they have put into shaping me to player I am today. Lastly, I have to thank Scottie Lewis, Alex Klatsky, Chris Autino and Jalen Gaffney who have been great friends and teammates since this journey all started. As I’m here today, I’m looking back to who I was before. I wasn’t as strong and aggressive and I really wasn’t playing to play when I was younger. As I got older my confidence grew and I started doing things that I didn’t even know I was capable of. I just have been soaking up as much information from every coach that I’ve had. I’m smarter on the court now and have more of a desire to play the game for everyone and not just myself. All of these people I mentioned along with many others have played a huge role into the person and player I am today. I’m forever grateful of all of the help I’ve received and couldn’t be more excited to take this next step.